Do you having difficultly on getting photo online? GPhotoSpace might be your solutions. GPhotoSpace is a free Firefox extension that leverages Gmail for online photo storage. GPhotoSpace able to allows user to upload their photos quickly, easily and not required any technical knowledge. The user can create any number of photo albums and store it with Gmail free storage space and share them quickly among their friend and family members. It also has secure sharing features that only shares their photo and albums within their selected people. To add a photo the user need any Gmail login id. Once add in the photos, the user can save it as albums and setting the size of the picture if user want. What happens when the user is sharing the photos is that, the photos are attached via email and send to recipient. Currently, GPhotoSpace only support Window platform and works on Firefox. 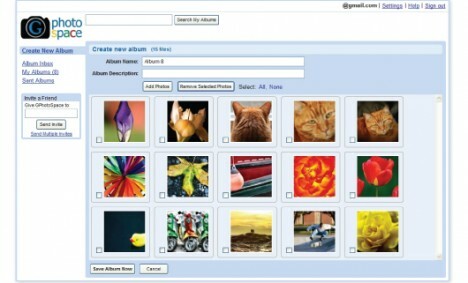 If you want to try, you can download a free copy of GPhotoSpace at gphotospace.com.